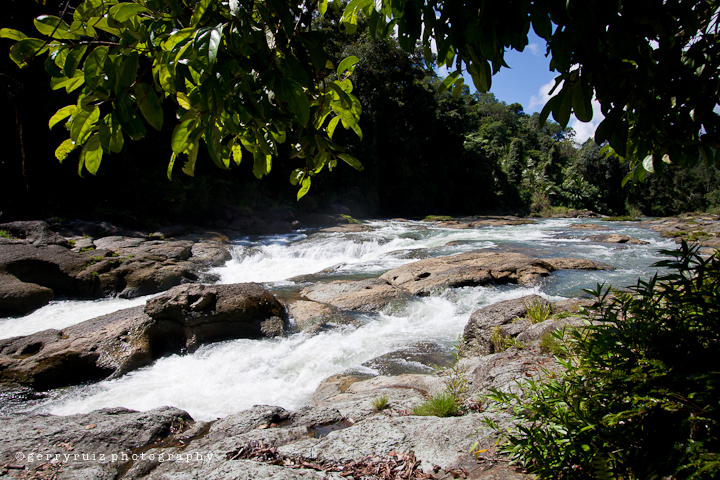 For years, I’d only hear talks on how beautiful it is in Tongonan, Leyte – how cool the place is, elevated thousands of feet above sea level, with lots of virginal forests and wildlife – but never getting the chance to actually go and see the place. I’ve spotted that directional sign saying, “To Tongonan” hundreds of times when driving from Tacloban City to Ormoc City. Never been there… until last September. Some friends, Danny Fuentebella and Butch Celestial, asked me: would I be interested in joining their group and “camp out” in Tongonan? Gee, how could I resist such an opportunity?! 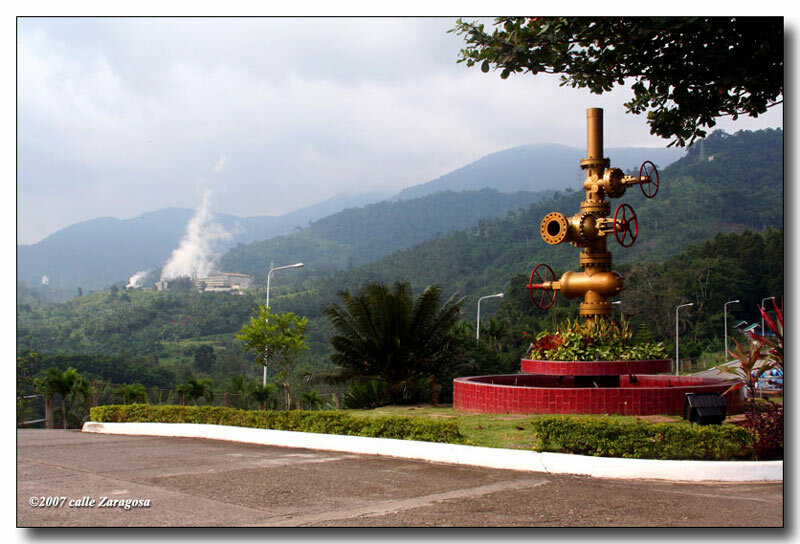 Nestled high up in the mountains in Tongonan between the municipality of Kananga and Ormoc City is the PNOC-Energy Development Corporation’s Leyte Geothermal Production Field (LGPF). PNOC-EDC remains to be the country’s largest producer of geothermal energy. 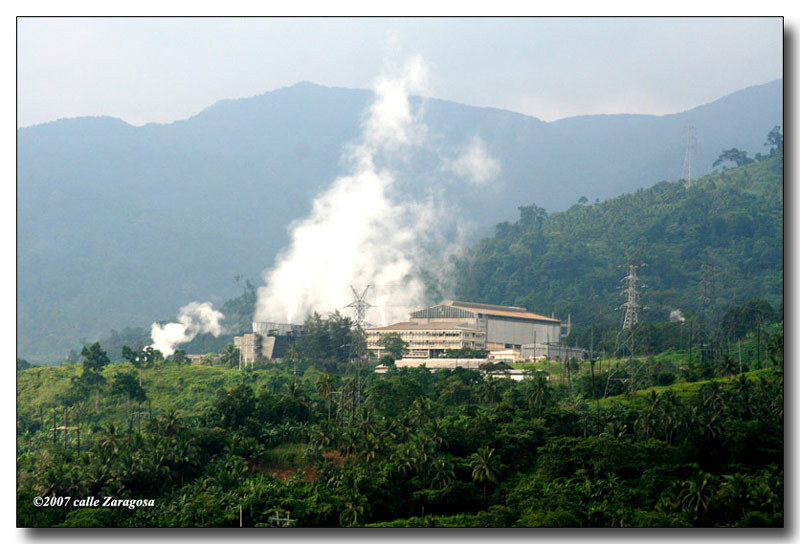 The 107,625-hectare Leyte Geothermal Production Field (LGPF) alone produces 708 MW. Here in this geothermal energy area, considered the largest wet steam producing field in the world, are the 112.5 MW Tongonan Production Field, the 132 MW Upper Mahiao Power Plant, the 232.5 MW Malitbog Power Plant, the 180 MW Mahanagdong A and B Plants, and the 51 MW Optimization Plants. 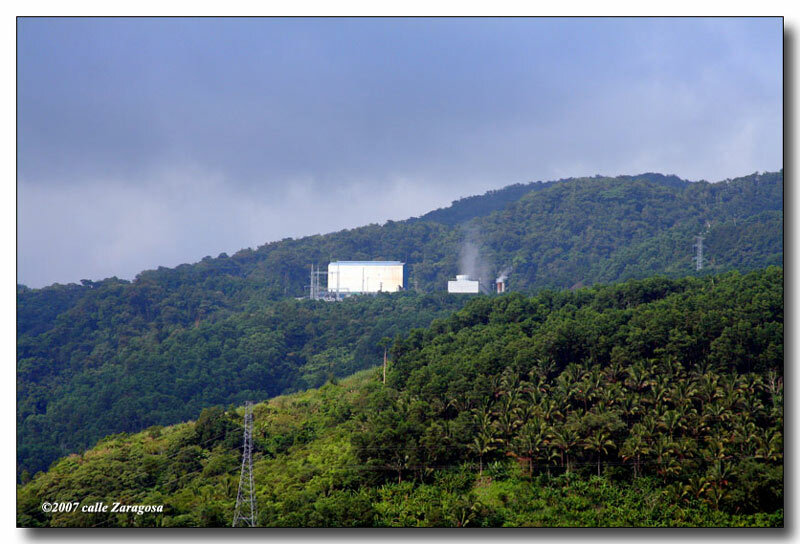 The Leyte geothermal plants currently supply power not only to the Eastern Visayas region, but also to Central and Western Visayas and on to Luzon via submarine cables. It is expected to serve as the linchpin of the national electric highway upon installation of another submarine cable from Leyte to Mindanao. Due to bad weather, it was unfortunate that I couldn’t get closer photos of the plants (besides, in most areas near the power plants, taking photos is strictly prohibited for security reasons.) So what I have here are mostly panoramic shots, taken before a heavy downpour and thunderstorm suddenly set in. The view from the Administration Building of the PNOC-EDC of the Leyte Geothermal Production Field in Tongonan, Leyte. 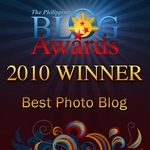 ~ by gerryruiz on 3 November 2007.
ang ganda naman ng view ng tongonan, leyte! i’ve been there, way back during my university days when it was just starting. what progress! tnxs again, mr. ruiz! oh, this is really a nice place… the only thing i can say is a part of it is like baguio! i’ve been there for an educational field trip and it was really fun! can anybody tell me the complete name of the plant manager of Tongonan and his complete office address? Julius, sorry can’t help you on this. Maybe a reader who knows could… You have tried communicating thru their official website, I assume. hi! We wish to visit the Tongonan Geothemal Power Plant? can I ask for their e-mail address? I’m awed with the green background in Tongonan. It looks so fresh. I’m from Isabel, Leyte just near Ormoc but I’ve never been to Tongonan. My siblings have been there… are you from Leyte, too? Hi! I’m Lillian of SLSU-Tomas Oppus, Southern Leyte. Some of our faculty and staff would like to visit Tongonan and we find it hard to look for any contact number of the Geothermal field office so we could send our communication. We’ll be glad if you could give us telephone numbers or e-mail add. Thanks. 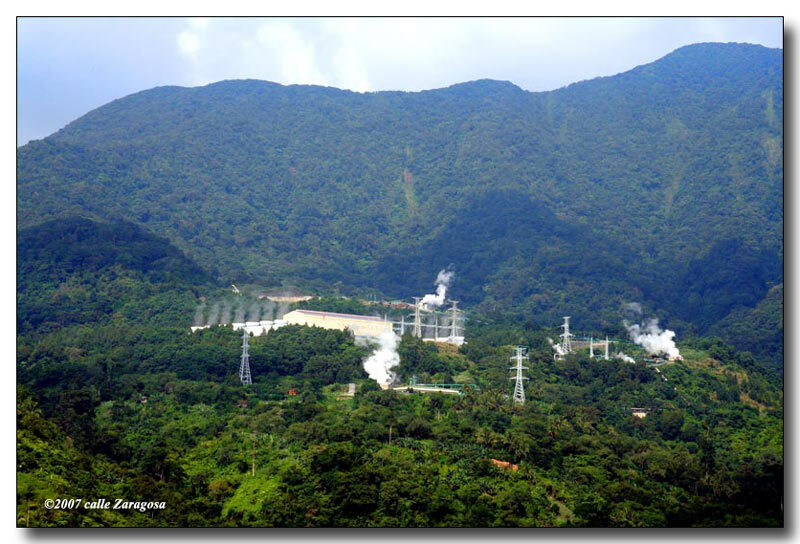 ang ganda tlaga ng geothermal power plant sa tongonan lalong lalo na and klima parand little baguio. Last april nkpgbakasyon at ngsite visit dyan sa planta. Sana magkaron ng fieldtrip and electrical engineering department sa pup-manila thanks and more power. Gerry, I’m reprinting the Washington Post article about the Leyte geothermal plant, and I’d like to request permission to use one of your photos of the Tongonan field to complement the article. Thank you. Ave Basa, editor & publisher, Fil-Am Press, Houston, Texas. Good information about the Geothermal plant. I have visited PNOC Geothermal Plant earlier this year. Very interesting place. Cheers Wendy,Brisbane, Australia. I was the EEI QC supervisor for the 112.5 MW Tongonan Project from January 1981 to March 1983 after which was transferred to the Philphos project in Isabel. It was a very pleasant stay & a good learning experience for a young engineer like me, Those years were ones of the happiest in my life. We were in the Philippines last August 2008 & were planning a swing but wasn’t able to due to time constraint, would’ve loved to show the wife & the kids where I spent my early professional years, but maybe 2010. I want to know if it is possibe to go straight to Bohol from Leyte. Thank you & thanks for the happy memories! Thanks for the web visit Nick, I can perfectly understand how you miss the place! Yes, one can go straight to Bohol from Leyte and vice versa via ferry at Bato, Leyte and Ubay, Bohol. In fact it seemed surreal when I first saw big buses in Ubay, Bohol with destination signs such as Pasay & Cubao! Thanks for writing. You didn’t mention though where you would be coming from so I am only guessing here. The Geothermal Plants are located near Ormoc City while San Juanico Bridge is further up north in Tacloban City. You need to hire a van getting to both places. Good luck! ..Thanks so much for posting these, I love all the photos. Good luck; God bless. thank you po sa info. we will surely visit it. 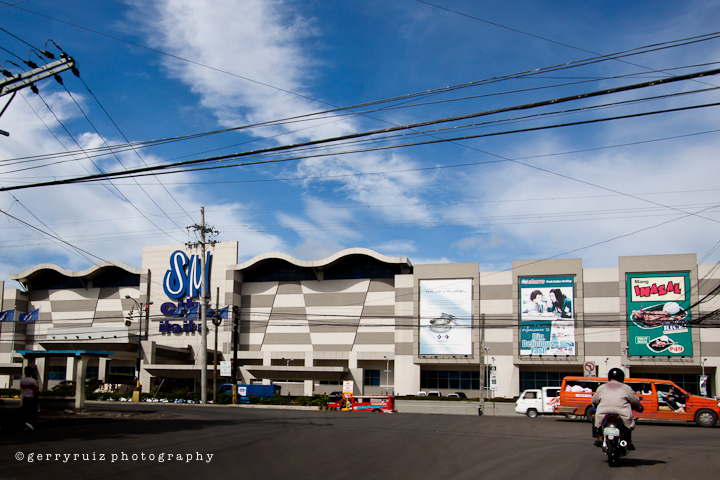 we will be there maybe this jan 21, hopefully that is, if pnoc will allow us to visit the site. I failed to mention to you how far San Juanico Bridge is from the Geothermal Plants. PNOC is about 30 mins from Ormoc and Ormoc is about 100kms from Tacloban; that’s roughly a 2-hr ride by van. The San Juanico Bridge is about 6 kms (30 mins ride) from downtown Tacloban. Hi sir, I’m Marichu Rama Gonato. I have a little knowledge about EDC. My husband works there. We live in Ormoc but I’m from Cebu. It’s really a great place. I thank God for giving us this opportunity to be a part of this company. I’m a 4th year chemical engineering student and I would like to do my OJT in Tongonan. Does anyone know if they allow OJT’s? I have a property near Bao River. I was there last year (July). I fell in love with the place – it’s spectacular. I could see the geothermal geysers! Hi, Gerry. It’s nice to see photos of Tongonan. I had my OJT there with my best friend in college way back April of 2005 and it was a very unforgettable experience. I am working here at Negros Occ. but I’m trying to find contacts on how to apply there para mas malapit samin, taga Tacloban kasi ako. Can I seek help from you? It’s funny how some readers of my photoblog automatically assume I am connected with the establishments I feature here. There were at least 2 who even thought I was the owner of a resort in Albuera haha! Anyway, I try to help whenever I can but with regards to applying for a job at Tongonan, I’m afraid that’s beyond “my powers” hehe. You’ll have to do research – google or yahoo search it – and go through the usual process of looking & applying for a job. Our cook, Lenlen, kept on telling stories about how cool “Little Baguio” is, which she says is situated somewhere in the highlands of Kananga. I googled the place and my search brought me here to your site. Is this the place, Gerry? Most likely, yes, Vey. 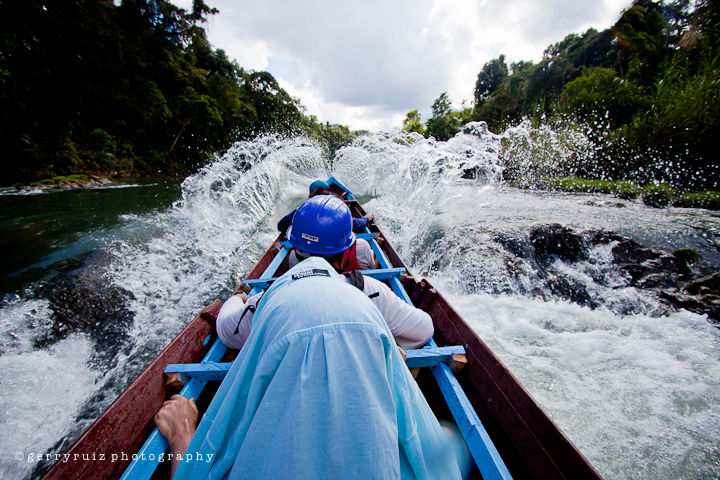 It is situated in the general area of Tongonan, Kananga and Ormoc City. Very nice, sir. Now I realize how beautiful Tongonan is, although I’ve never actually been there. Nice one. Can you tell us if there are buses or vans for hire for students to take going to the geothermal plant. the students will be coming from Cebu and will arrive in ormoc vis fastcraft. Been there, worked with EDI 1982-85. Great place to go. Proud to have them in the Philippines. hi… i have friends coming from germany they want to visit the geothermal plants but i don’t know how to reach leyte.. can you help us, pls…. Sent you email reply; please check your inbox. Thanks. Hi. I’m a 4th year Mechanical Engineering Student at UST and we are required to come up with a “process” paper regarding Tongonan Geo Power Plant. Just want to ask permission if we could use your photos on our paper. It would be a great help for us. hi, ang ganda talaga ng tongonan! tga lim-ao dIn ako, malapit lang sa tongonan… pero minsan lang akong magbakasyon dyan. hay, ang ganda talaga! I am a 4th year chemical engineering student in UNIVERSITY OF SAN CARLOS. I would like to ask if Tongonan geothermal plant allows OJT? Thank you for reading my message. As far as I know your office will be conducting an examination tomorrow November 27, 2010. Is it for all Engineering Graduate only? Because my daughter did not receive any message that she will be included in the said exam. Tnx. For the nth time, I would like to emphasize I am in no way connected with the geothermal plants nor with PNOC nor the current owners managing these plants. 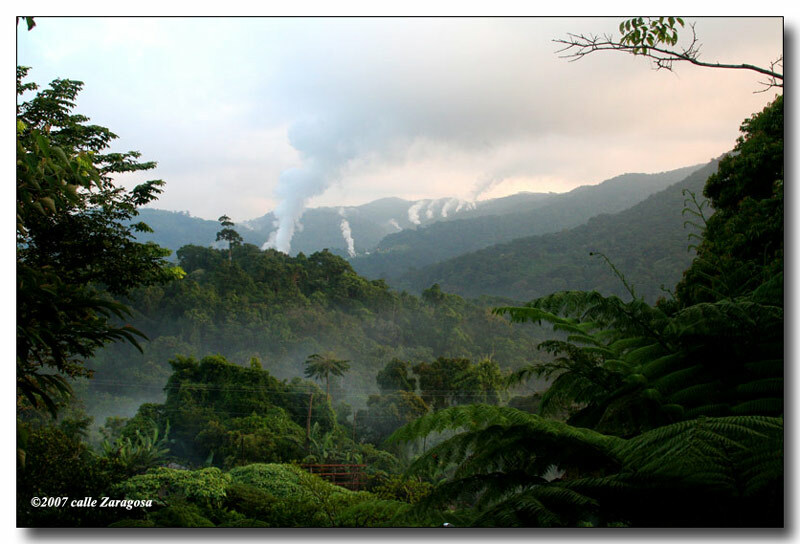 This is just a private photoblog of mine; this is definitely NOT the geothermal company’s website. hi, sir gerry! keep writing! i love your features! got to learn a lot of places vicariously. nakalibre na ako sa pasahe, board and lodging!!! he..he..he.. i am also based in tacloban though my roots are from cebu and palompon. i love writing and traveling as well. Hello, Gerry, I’m so happy when I visit your website. Been quite a while & I really miss this place. I used to work here. 7 years ago. Keep up the work, Gerry. And more power to you.